Are you interested in discovering new shopper segments, retaining shopper loyalty, delivering strategic marketing and selling strategies, become the go-to person/team member for creating a seamless physical journey to purchase? Or using POP to triple basket size? What about the ever-evolving role of the shopper researcher? Does your expertise or professional interests fall under any of these categories? 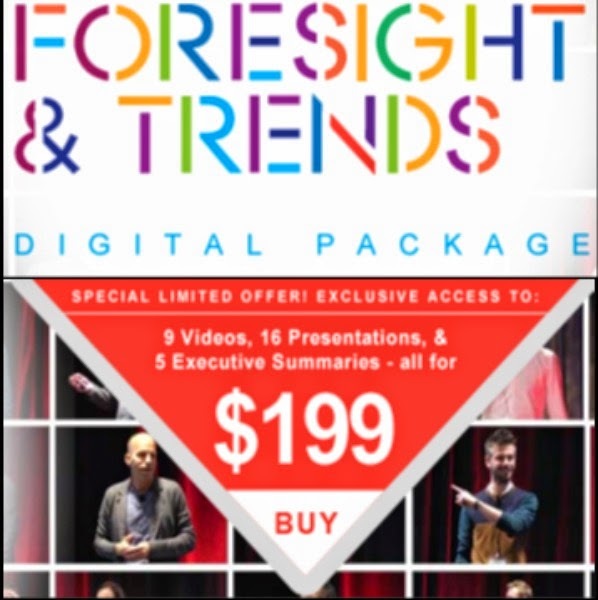 If you answered yes to any of the above, then we definitely think you should be at the Shopper Insights in Action 2014 event and we recommend you download the brochure to view the entire 2014 program with all the details to see why you can't miss it. We're offering some lucky winners a chance to win a free pass to the event this year as well as signed copies of Reputation Economics: Why Who You Know Is Worth More Than What You Have by Joshua Klein, and Fifty2: The My Private Brand Project: Redefining Traditional Private Labels as Consumer-Focused Brands. by Christopher Durham and Teri Campbell. You can enter to win by tweeting about the event, just go here first to get all the details about entering. Shopper Insights in Action unites more than 650 manufacturers and retailers over 3 days, with 6 concurrent tracks and over 85 speakers. There's quite a lot of information, collective knowledge, experiences, case studies and overarching themes on activating basket growth to capture so we're recruiting a few folks to help us recap the entire event online and in real-time. If you're interested in being considered as a guest blogger at Shopper Insights in Action in exchange for a free, full access 3-day pass (travel/hotel expenses are not included), please email vrusso@iirusa.com with writing samples, links, social networking profiles, qualifications and a statement of interest. MBA and graduate students are encouraged to apply. If you would like to sponsor the event, please submit your information here. If you would like to become an media partner, please submit your information here. Formerly a senior copy editor at Thomson Reuters, a research editor at AOL, and a senior web publicist at Hachette Book Group, Valerie M. Russo is editor at large of The Front End of Innovation Blog, The Market Research Event Blog, World Future Trends.tumblr, the Digital Impact Blog, and founded Literanista. She is the innovation lead and senior social media strategist for the Marketing and Business Strategy Division of the Institute for International Research, an Informa LLC., and her poetry was published in Regrets Only, on sale at the MOMA Gift Shop. Her background is in Anthropology and English Literature. You can reach her at vrusso@iirusa.com or @Literanista. Very interesting. Guest bloggers should never stop learning. It matters a lot to know how consumers behave and react to be able to come up with the right strategies when crafting content. More power to your blog!